The Otto M. Budig Theater has 233 seats in the Lower Gallery or Upper Gallery. All seats are less than 20 feet from the stage. Below are some additional details and reviews from fellow patrons to help you select your new favorite seat! 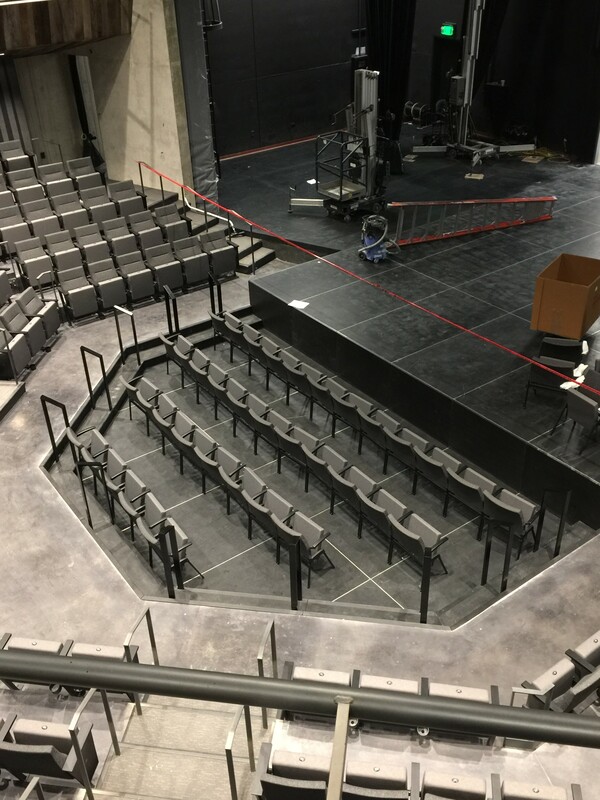 This is section on the floor, sometimes referred to as a Orchestra level, with the seats wrapping around the thrust stage in 3 sections. The center sections has 6 rows, and the sections on the left and right only have 5 rows. Each location offers unique views of the action on the stage depending on where they’re sitting. 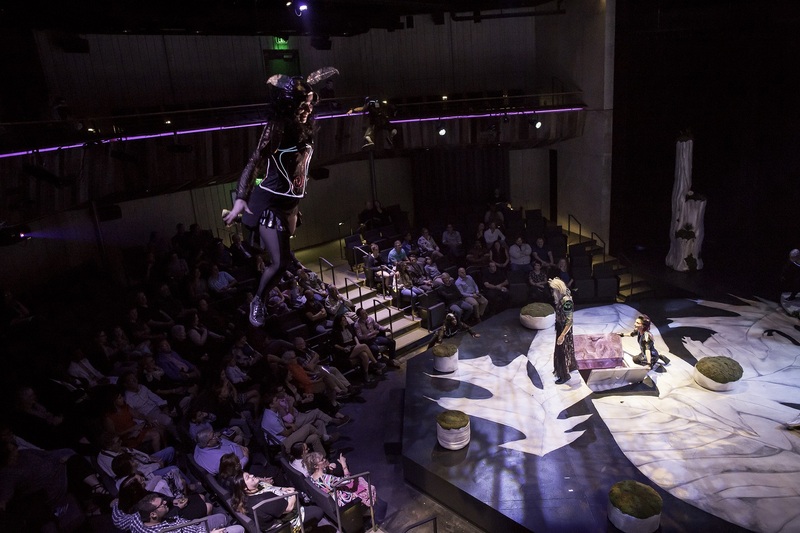 Each audience member gets their own unique perspective of a show because the stage is surrounded by the audience on three sides. 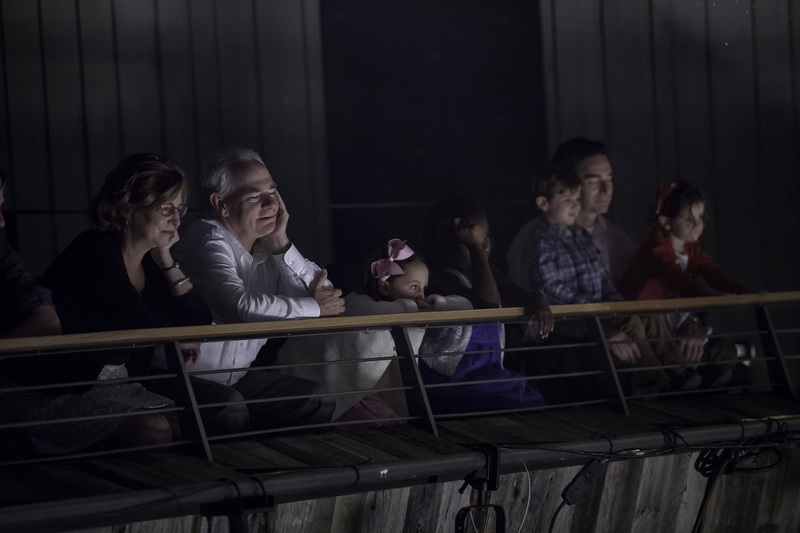 Audience members can see each other while watching the action on stage. This creates an interesting experience for spectators, seeing the reactions of the people on the other side of the stage and knowing they are seeing the show from the opposite viewpoint. Also, each row is on it’s own level- this means that the person sitting in front of you should not obstruct your view because their row will be lower. All of row D can be reached without walking up or down any stairs. "I prefer being in front so I can see facial expressions"
"The play was well staged so each section had a moment or two where they had the best view"
"All seats are a good view & the actors can come & run or drop down drown from anywhere! 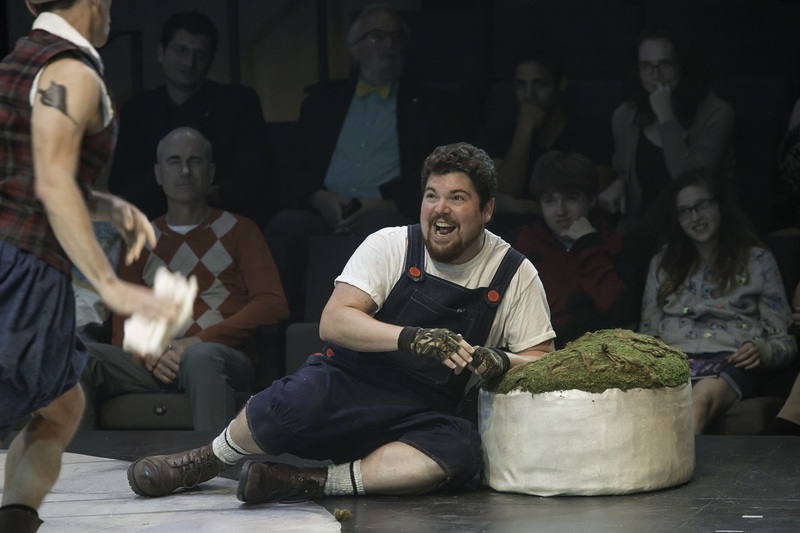 "We were too almost close to the stage at times"
"There really are no bad seats and the cast does a good job of playing to the whole audience." "In second row view is sometimes blocked by actor's back"
"We were off to the side and loved the view- but it really doesn't matter for this stage! All seats are great." This is a row that is above the Lower Galley. The Upper Gallery overhangs the Lower Gallery at Row E on the sides and Row F in the center so it is much closer to the action than a traditional "balcony" level would be. Even sitting in Row G in the Upper Gallery, you are not more than 20 feet from the stage! 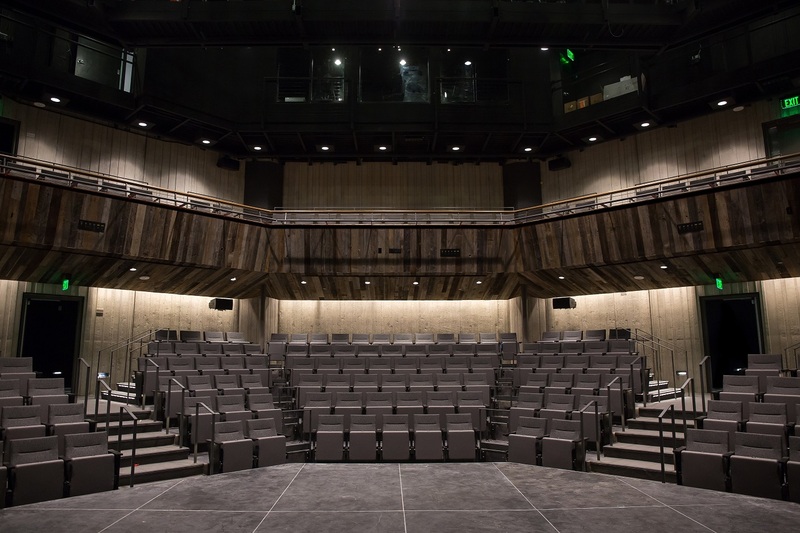 Audience members are never far from the action on a thrust stage, even when seated in the Upper Gallery, which creates a special intimacy between the actors and audience. 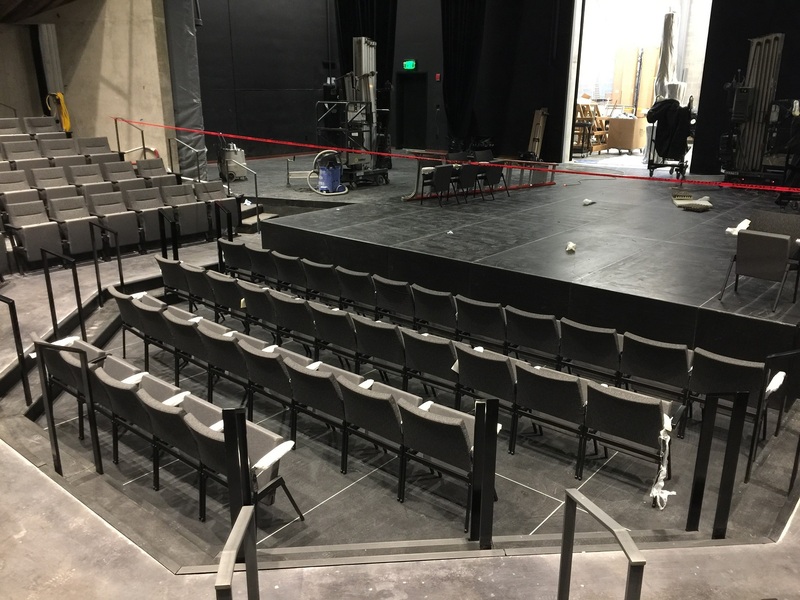 The seats in this section offer a bird's eye view of the complete stage and are especially suited for a "lean in" experience! There is a polished wood railing to rest your elbows on (but not your drinks!) for best viewing. These seats are also un-ganged or "loose" so that you can adjust them a bit for your comfort and best viewing. "Sitting in the Upper Gallery provided the perfect view of the entire stage, it was less interactive, but more intimate." "Good seats (very comfortable) but sometimes had to lean over balcony railing to see actors who were far to stage left." "It provided a good view of the entire stage!" "These seats are loose/not connected so you can scoot them around to find your best spot." 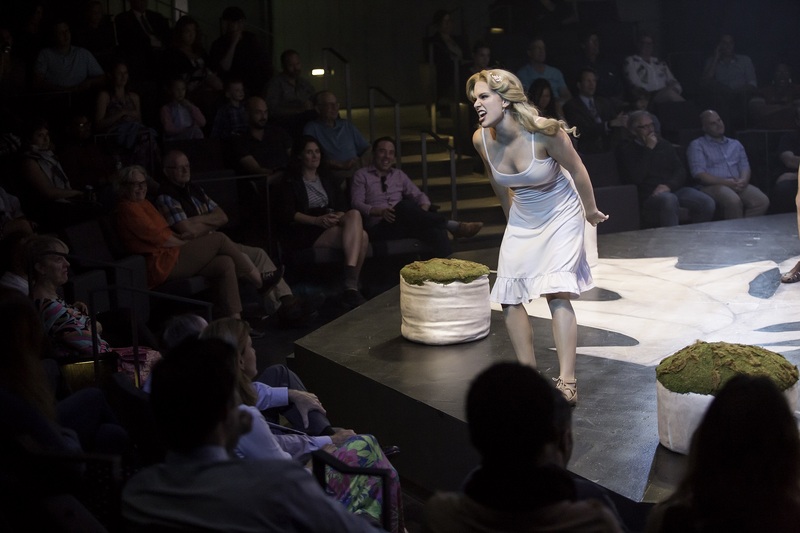 "Leaning forward is the best way to enjoy productions up here." "Being close to the flying actors as they descended was a once in a lifetime experience!" The front part of the stage that thrusts out into the audience is flexible and can be lowered down. 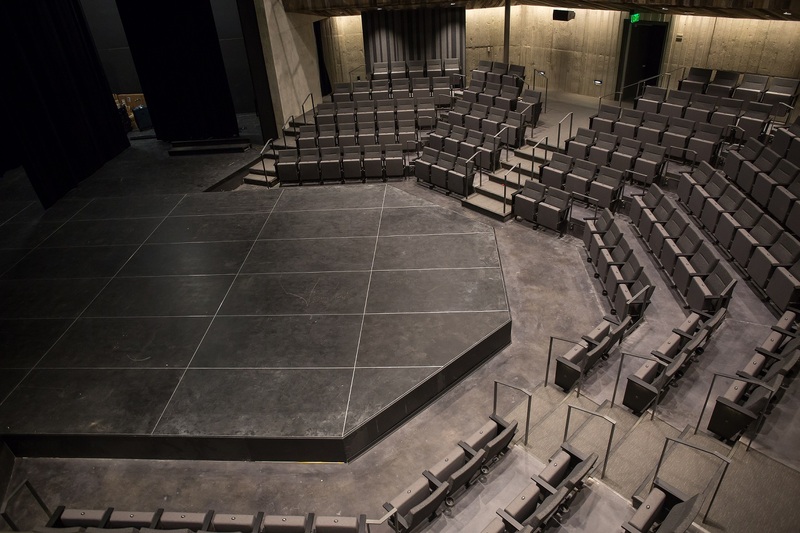 This allows CSC to present performances in "proscenium" style like the stage at the Aronoff Center for example. When we lower the stage, we will be adding "Floor Seating". These seats are all on one level and can only be reached by going down 1 step. That is for you to decide! Every seat is no more than 20 feet from the stage. We greatly encourage our patrons to select different seats throughout the season to figure out which ones are their new favorite. Occasionally you will see that there is a different configuration of seating available that utilizes our versatile thrust seating. Where will the action of the performance be taking place? We will have a stage experience like you’ve never seen before! Action will be taking place on the thrust of the stage (the portion that projects into the house) as well as deep into the stage. Actors will also be performing in the aisles and in the Upper Gallery. Our directors are adept at creating an experience that is immersive and takes into consideration sight lines for all patrons. How does this seating compare to the former theater on Race Street? 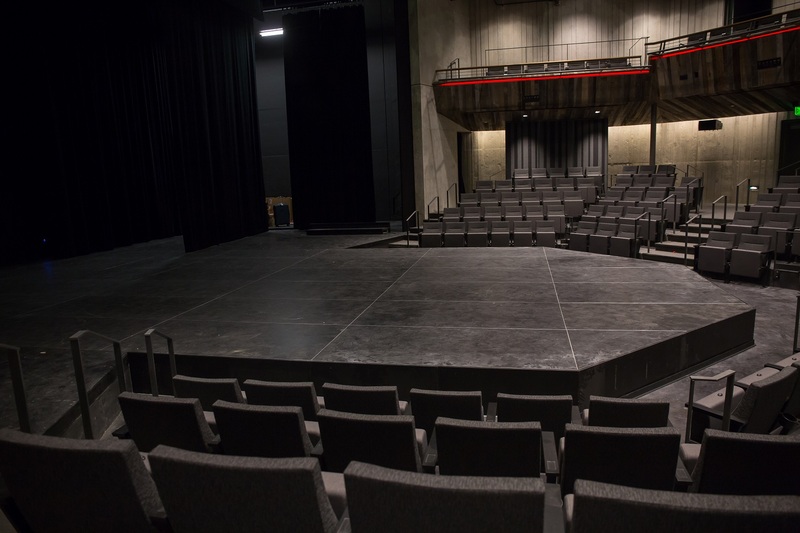 This space was designed to present world class performances within reach. The intimacy factor that many have told us they love about Cincinnati Shakespeare is not lost in this space- in fact, it is greatly improved. No seat is less than 20 feet from the stage. For comparison, from the back row of our former theater was nearly 50 feet to the stage! Reducing that distance to 20 feet will be a unique experience that has yet to exist in the region. Also, each row in the new theater will be on it’s own level, much like the back 3 rows in our former theater. This means that the person sitting in front of you should not obstruct your view because their row will be lower. How wide are the seats? These seats range from 21" to 23" inches wide. For a detailed map of the seats and widths (including seat numbers), click here. 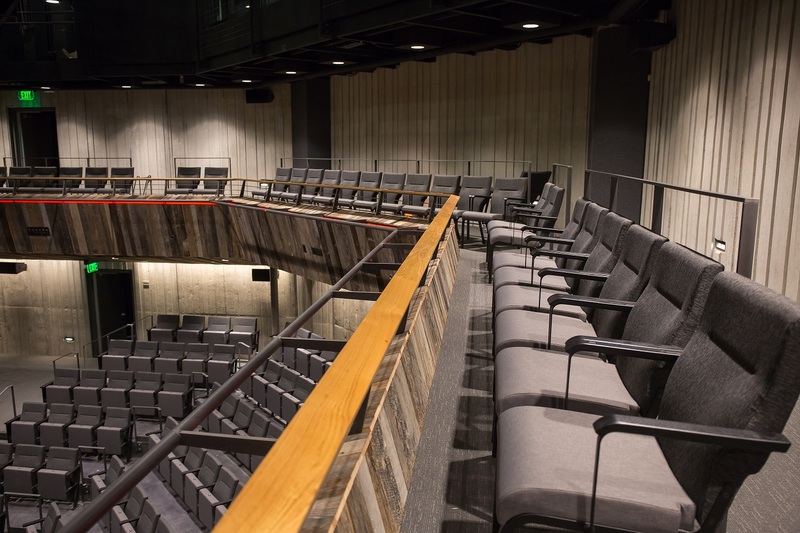 What accessibility features does this new theater have? There are 5 Wheelchair accessible seats- 2 in the Lower Gallery and 3 in the Upper Gallery. There is a ramp to enter the Lower Gallery and an elevator to reach the Upper Gallery. All of the rows that have stairs required to reach the seats are marked with a bracket on the above seating plan. There will not be any stairs required as you enter the theater from the lobby. You will enter the theater at Row D on each side so the level is flat and there are no steps required to reach any seat in Row D. In the Upper Galley, the center 3 sections also do not require stairs. The side 2 sections have a step down to reach them.